South Wales Knotweed Removal Specialists covers the whole of South Wales (including Merthyr Tydfil, Swansea, Cardiff and Newport), West Wales up to North Ceredigion & Powys and throughout South Glamorgan & Gwent. We also carry out contracts in the West Country, as far North as Shropshire and into the Midlands & Birmingham areas. If you have or think you may have Japanese Knotweed Merthyr Tydfil or the surrounding areas then contact us on 01269 591651 or 07531142316 and one of our Knotweed experts will be able to help. We are a fully qualified Japanese Knotweed Certificated Surveyor (JKCS) and a family run business We specialise in managing Japanese Knotweed, other invasive plant species and ‘general nuisance weeds’ that are found in the UK for residential premises and property development sites. There are various methods of eliminating Knotweed and a Knotweed Expert will be able to give you advice on the best and most efficient approach. 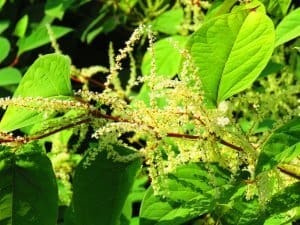 Essentially, Japanese Knotweed isn’t toxic and harmful to dogs, cats, people or any other animals like some other extremely invasive plants. It’s not harmful to touch, nonetheless, always employ extreme care when in close proximity to it to avoid inadvertently allowing it to spread. 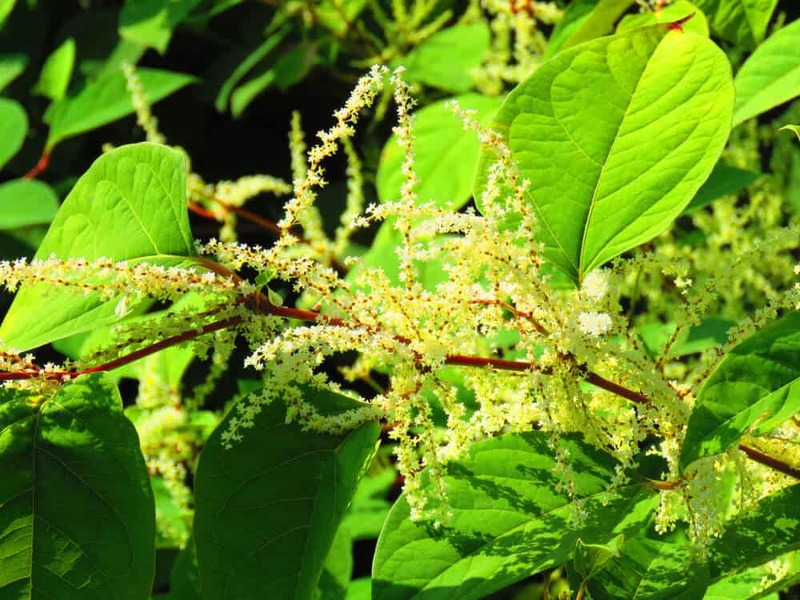 Japanese Knotweed would probably be known as ‘poisonous’ by developers and homeowners due to the very invasive growth, the capability to spread from a tiny particle left and just how difficult it is to remove fully. Essentially, if the previous groundwork or construction has been performed to a sufficient standard then Knotweed will not grow ‘through solid concrete’, it won’t destabilise solid foundations and it is highly unlikely to ‘cause’ structural damage. In truth, these claims are deceiving, to say the least, and in many cases untrue. There are a few instances if your foundations or concrete are old, poorly constructed and have pre-existing cracks or fractures within that Knotweed will manipulate any weak spot in its pursuit of light and water and will quickly establish itself, whilst exacerbating the original fracture and perhaps cause the structure to disintegrate. There are many contractors who operate within the UK weed control industry who are respectable, knowledgeable and who specialise in the control and management of Japanese Knotweed. There are however a lot of businesses who claim to have the experience, qualifications and accreditations to ‘eradicate’/ ‘eliminate’ Japanese Knotweed at low cost, however, we would advise anyone to exercise caution and to ensure that the service provider/ business you enlist to carry out the control programme are qualified to do so and that they adhere to the industry codes of practice. Contact us today on 01269 591651 or 07531142316 if you have or think you may have Japanese Knotweed Merthyr Tydfil or the surrounding areas and one of our experts will be able to answer any questions you might have and can arrange a site visit to assess and advise you of the best Knotweed Removal process to suit your circumstances.